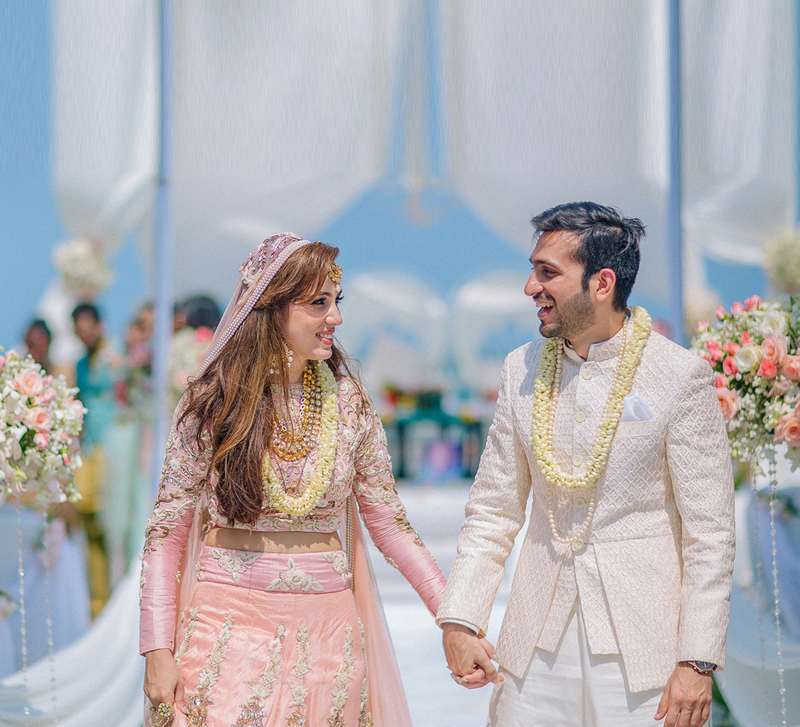 Pretty cherry blossoms were the key element at every function of Devina and Nikesh's wedding that took place in London. Their romantic journey started with a long conversation at a bar and reached a 'happily every after' soon. 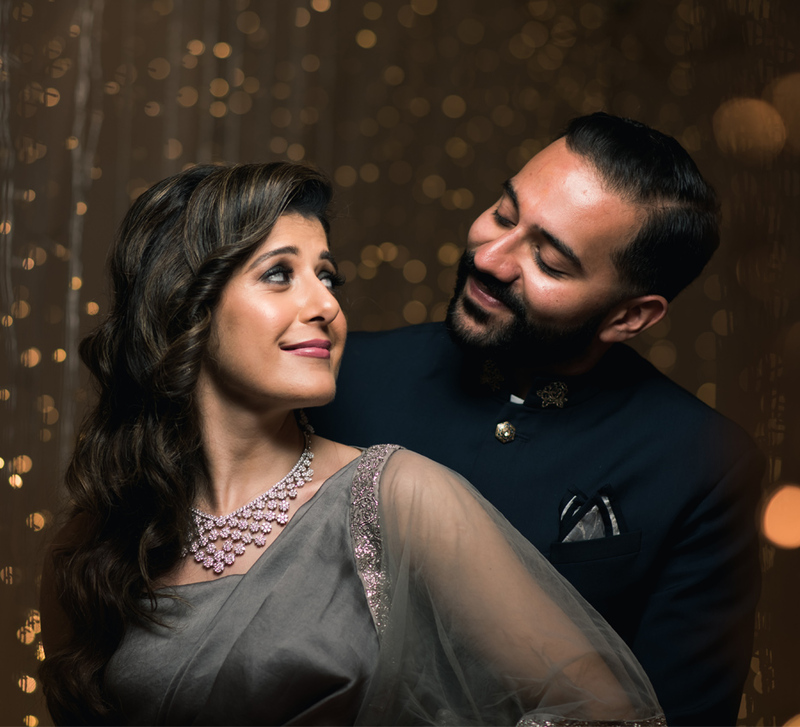 Here, Nikesh and Devina share some highlights of the wedding that took place in London. They managed to plan many aspects of the celebrations themselves and share tips on what other couples can do too. “I proposed in private, in the dome at the top of the Gherkin in London, with a glass of champagne and lavender roses, followed by one of our favorite menus. 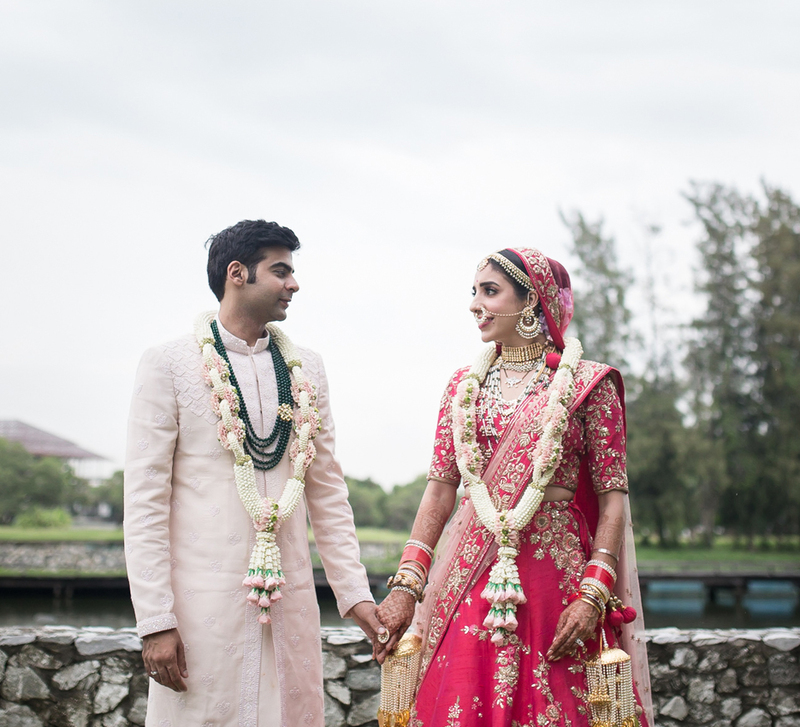 We walked along the riverside while we broke the news to our friends and family,” shares Nikesh. “We had a cherry blossom theme throughout all of the events, but as it was not the right season, our design team made hundreds of cherry blossom planters and even a couple of full trees for us. We had water flowing alongside our walkway to the mandap which dazzled with mirrored gold. 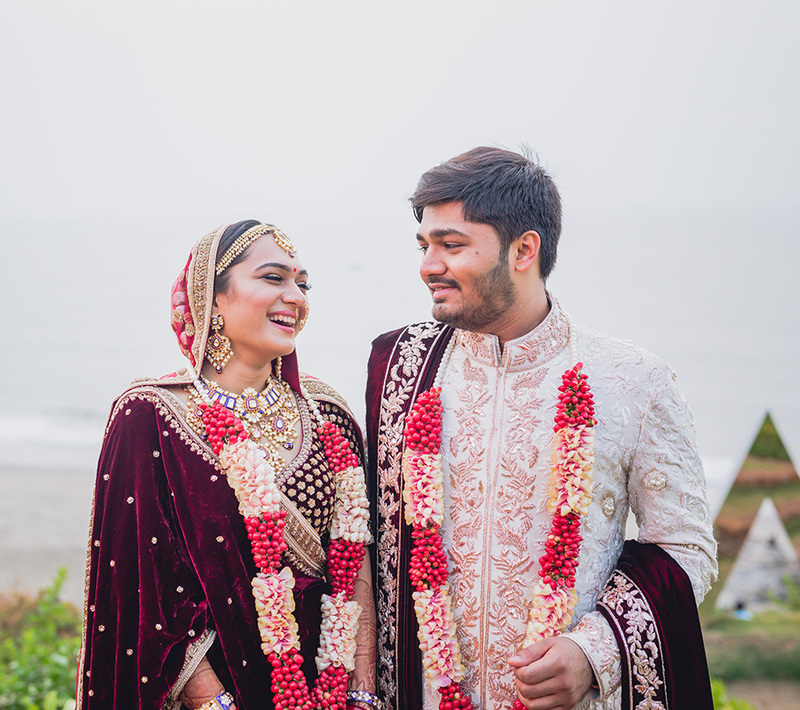 We had a canopy of jasmine flowers and roses suspended from the ceiling above the gold dance floor.” Dressed in a regal deep red lehenga with beautiful gold thread embroidery, Devina looked perfect on her big day. A full-sized golden handmade sword was crafted in Jodhpur for the groom who made a grand entry with his parents. Everything created was bespoke, from the reception dress to the groom's outfit which was a Tom Ford tuxedo. The decor complimented the contemporary, chic setting of the venue. White and gold tones blended beautifully, and the floral profusions added a magical vibe to the reception decor, especially the centerpieces and the chandeliers.